Spring always jump-starts me. The winter doldrums get packed away along with the woolies, and inspired by emergent beauty I become energized and impatient. I have half a dozen unruly writing projects tugging at my virtual skirts, each clamoring for my full attention, plus a house that will never ever be the clean and orderly haven it could be if I didn't write. Between divvying out quality time among the brain-brats and attempting to confer a modicum of order on my cluttered and chronically maintenance-deferred domicile, I try to fit in some advertising of my various inked wares. I'm almost invisibly discreet when it comes to pluggery, therefore I thank very much the many ebook sites that got the word out and helped me give away ~7000 Kindle copies of Wysard and Lord Brother during my March promotion. I also thank everyone who downloaded either or both books, and the many kind people who purchased copies when the promo ended. Being read is truly a humbling wonder, and I'll never forget to be grateful. 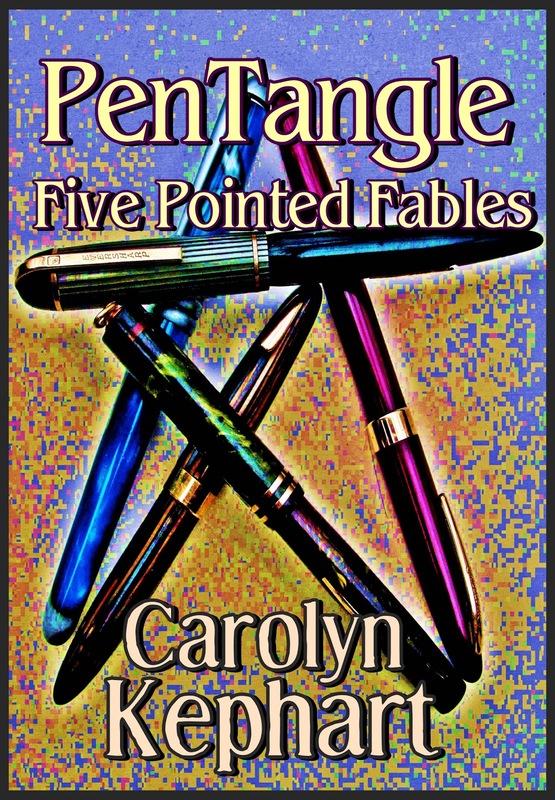 My latest giveaway is PenTangle: Five Pointed Fables, a collection of short fiction. 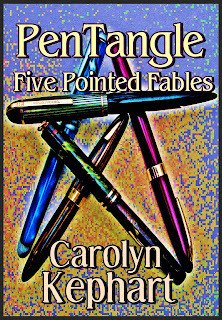 All of the five stories save one were previously published in ezines; I didn't seek a venue for The Heart's Desire because it wasn't the sort of thing I normally write, although some people might think it the best yarn of the lot. The Kind Gods - Did the old gods really die? A warrior seeks answers at the burial-mound of his greatest enemy. A Norse-themed elegy, first published in Bewildering Stories. The Heart’s Desire - A government scryer's life is a prison until she and her bodyguard discover the ultimate secret language. This story is my first attempt at near-future slipstream, and I loved writing it. Last Laughter - A cautionary tale about a wicked court jester and his comeuppance, first published in Silver Blade Fantasy Quarterly. Regenerated - Cela always hoped she’d find Jorgen again someday…but was this really Jorgen? A tenderly bitter tale of love and giant lizards, first published in Quantum Muse. Everafter Acres - Happily Ever After isn’t always perfect, but dark knights can be illuminating. A wry autumnal satire first published in Luna Station Quarterly.